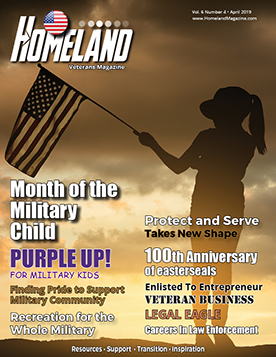 Jeff Edwards of Herman, MN, fell from roofs and crashed dirt bikes as a kid, parachuted into dangerous places with the U.S. Army’s 82nd Airborne Division and faced potential harm for 13 years as a Grant County sheriff’s deputy and SWAT-team marksman. Breaking his neck in shallow water while on vacation in Mexico in 2015 was not something Jeff had ever imagined. 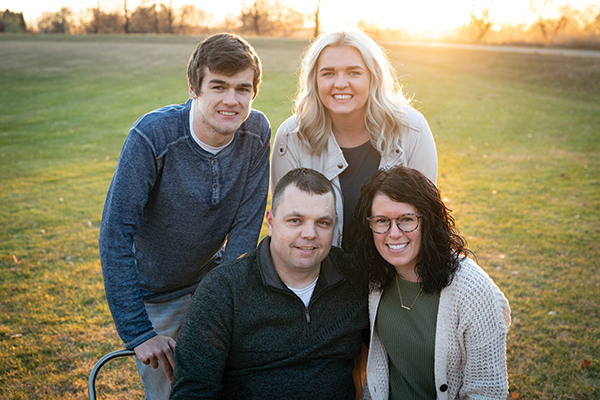 After a medical evacuation—securing an air ambulance that required up-front payment of $30,000 became longtime girlfriend Dani Murdoff’s first act as a caregiver—Jeff had surgery at Abbott Northwestern Hospital in Minneapolis to stabilize his spinal cord. Then, he set his first goal: going home. “I hated being in the hospital,” Jeff said. “They said I would have to be there for at least three months, and then I would be in [physical] rehab for six months.” But after just one month, he was transferred to the Spinal Cord Injury & Disorder Center at the Minneapolis VA Health Care System. Although Jeff had earned an Honorable Discharge from the Army in 1999 and his injury was not service-related, he was eligible for treatment as a Catastrophically Disabled Veteran. In just three months and 10 days, Jeff had “checked all the boxes” of self-sufficiency. When he was finally able to return home, his family, friends and law enforcement community rallied around him as he began to figure out what would come next. Life offers many opportunities to practice. Jeff is handy—a look at his garage workshop gives him away—so talking son Jake through repairs beyond his reach offers an exercise in bonding and patience for a man used to being very independent. 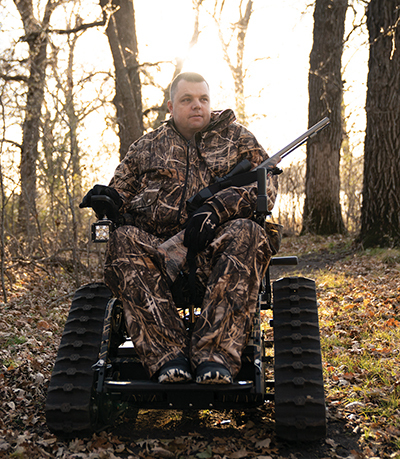 He also enjoys hunting and fishing, which remain possible thanks to an all-terrain wheelchair purchased through a GoFundMe campaign launched by friends. 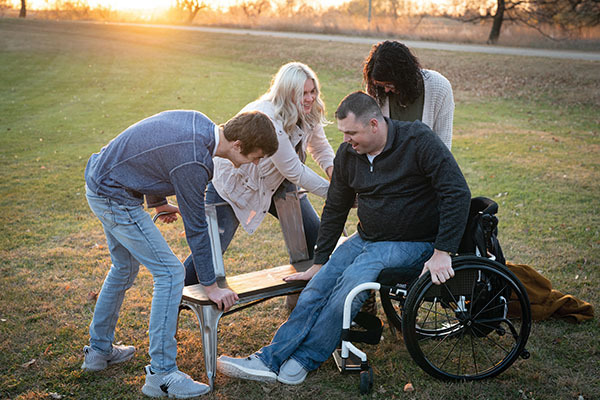 Being outdoors and doing activities he loves are good for Jeff’s soul, although having to depend on Dani or daughter Briona to load the track-chair onto its trailer is yet another reminder of how life has changed. Reconciling the before-and-after like this is at the core of Jeff’s healing process. For Jeff, healing is a mix physical and mental. And while he does not pretend to have all the answers, he has this advice for others: “For me to heal, I had to push myself. Maybe you’re not going to be 100%, but you’re going to be at 100% of what you are capable of at a time. Army veteran Jeff Edwards’ story is part of How We Heal, an ongoing series produced by the global nonprofit social network CaringBridge.